The Winona bib appeals to the baby who likes to have fun. Quirky 100% cotton fabric is layered on top of fuzzy chenille, combining to create a bib with personality! 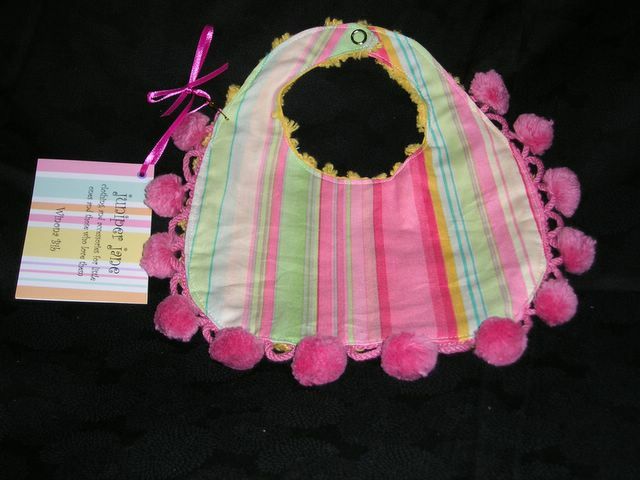 Crowned with pom-poms, the Winona bib is sure to elicit giggles galore from your favorite sweetie. Wow, These bibs are fantastic. Is there a line of bibs for the 'big' baby in me?